Upon arrival, the sky was dark and we could hear crickets and gecko chirping away. As I set my foot into the resort, I was greeted by Snowy, the white knight – house dog. Surrounded by nature, Rabeang Pasak Treehouse is located in a small village surrounded by teakwood forest. 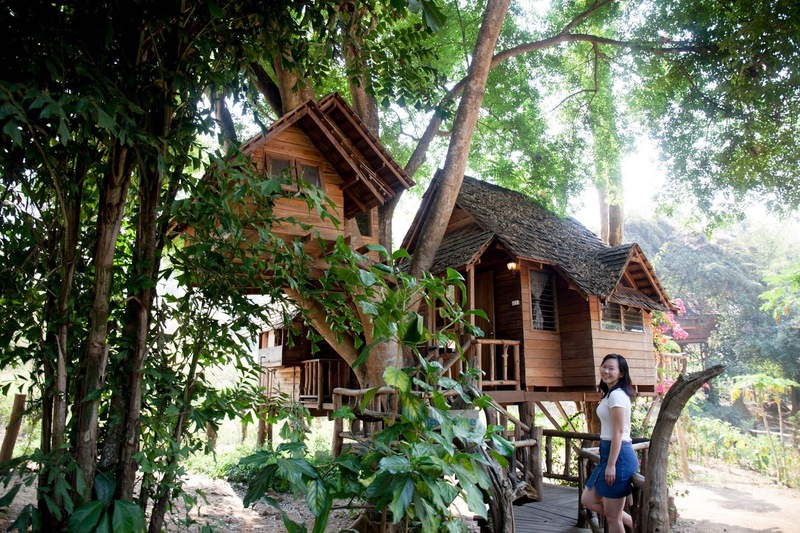 I’ve always wanted to stay in a treehouse and Rabeang Treehouse is the answer. Even before the sun is up, you can hear the whole village of animals– rooster, dogs, wild boars, crickets and gecko having a huge party. Some might find it noisy but to me it somehow works like a lullaby! (Maybe I was born to live in the wild!) Best part of staying there was waking up to fresh and cold air! Although my stay here was short, I had a good time here. Honestly, to build the treehouse resort in the small village is not easy. I’m impress with Mr Lee’s attitude and dreams. Even after retiring, he still make a world of his own. Although I would recommend my friends to visit but I’m sure not all of them wants to. Thus before you decide to book your trip to Rabeang Treehouse, read my experience below. Hope it helps! Situated on the north of Chiangmai, this place is definitely not accessible. One have to engaged the driver by the resort or ride up with your bike. 1800b/way for group shuttle or 450b/pax. Sadly, our driver for that day was late and we had to wait up to an hour in the airport and missed the sunset. *Includes complimentary trip to sticky waterfall as well as local market before going back to chiang mai city. You can choose to do it before/after the stay. There were six of us and we book 3 different treehouse. 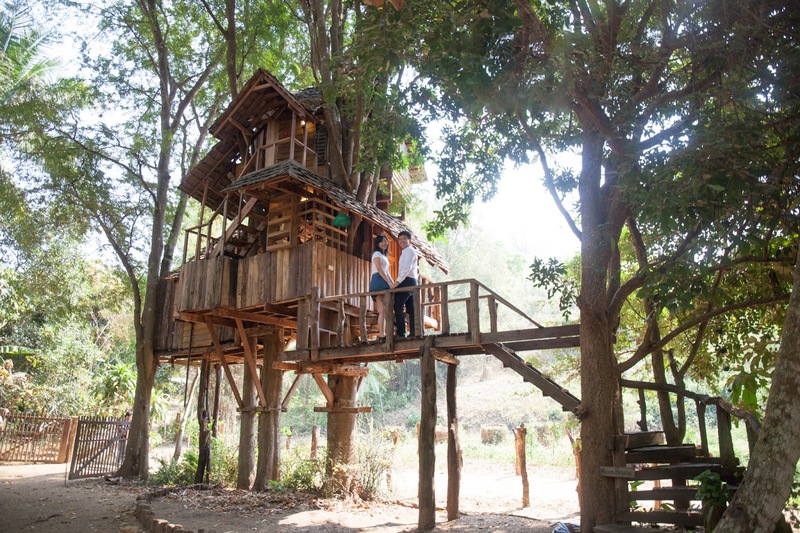 Each treehouse is unique and has different vibe and comfort level. All 3 house comes with hot water, flush toilet, fan and electric mosquito repellent. You can read up more information of the room here. Here’s my two cent on the rooms and hope it helps! The Jackfruit House is perfect for people who wants a view of the river. With rooftop terrace, one could relax there. Besides, Jackfruit house have one of the bigger size - 6’bed which is perfect for people who wants more bed space to themselves. Although there is bathtub in the room, it was swamped up by the huge ants unfortunately. 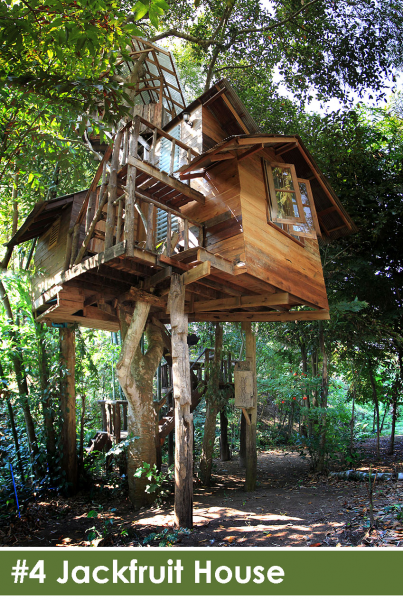 For people who wants to really live high up in the tree, this is it! 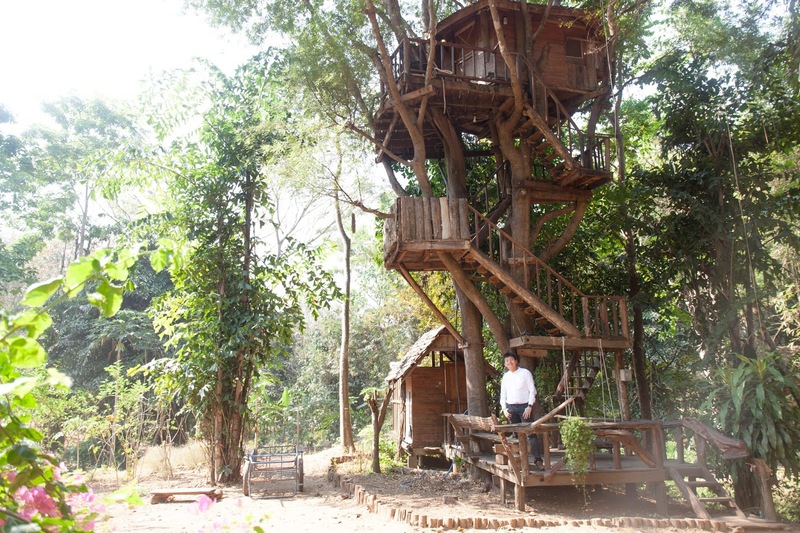 Plus it looks like my dream treehouse in picture! Almost Three Level high, you can see the entire place from the top. The steps are quite steep so its not recommended for the weak soul. Although the swing located at the ground level is really attractive, I wouldn’t want to choose this because the toilet and bathroom is located at the ground level (unsheltered I think!). I’m not sure if I can walk down properly in the middle of cold and dark night. Also, the room is small and can only fit the bed with minimal space for walking. Definitely not recommend for people who are bigger in size. With one 5’bed and being the newest treehouse among all definitely have its advantage. Although the exterior is not as interesting as others, H & I stayed here for a night and thought that overall comfort level is good. The dining/reading area was on the first level with enclose toilet next to it. The bedroom was on located on the second level sheltered. Tip: I will definitely choose Moon House over the 2 others!